My life is one big misfortune. I feel like I´m bewitched. What should I do? I have bad luck in every aspect of my life- finance, love and also health. Who is responsible for my misery? 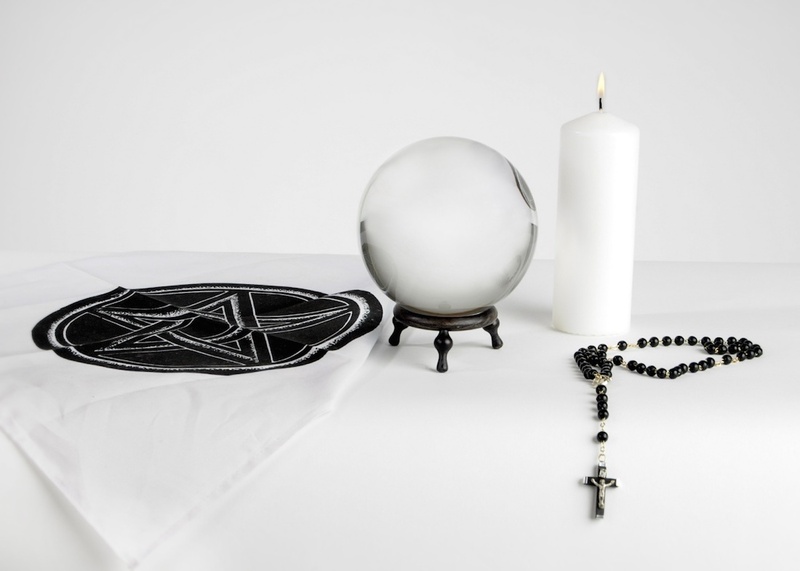 Only a small percentage of our clients are bewitched by “professionals”. This group of people experiences except of common misfortune also some more serious things- bad sleep, hearing of voices in their head, deep sadness, depressions, desire to die or obsessions. If you have such experience contacts us here. Or use some kind of protective magic or protective ritual. Or you can find useful information on our blogspot. I want to be your student of Magic. What can I do to become one? To do white magic successfully and without any psychical harm means continual daily work on yourself. In your magic world it means daily meditation, observation, increasing of the personal power and spiritual reading. So, to start magical practice is to start your unceasing meditation practice. If you haven't meditate before, find some inspiration on our web page. You need to know and master yourself in order to command spirits and communicate with Gods. Otherwise they won’t respect you and cooperate with you. We have many students of white magic and we do not deny anyone. So, to become a student is easy. But to stay with us and have access to our experience and knowledge is reserved for students with endurance and strong will. Every student has to work on him/herself every day. If student proves through his/her commitment and actions, that s/he has serious interest (most people give up after one month) and after deepening own personality, student starts to learn magic. Our approach to every student is individual. Every serious student of magic will obtain conditions for cooperation and study. There is nothing like one initiation ritual, during which one can transform from ordinary untrained person into a magician with supernatural powers. To be a mage is hard work. You cannot be a mage in one day, you have to become one! 2. Work of the client: magic cannot solve everything. There are needed also changes on the side of a client. If client doesn’t change and developm certain things, magic will create a situation and after some time, the things will be just the same as before. 3. Free will: the third factor is, that a mage has to respect the free will of people involved. It is not acceptable to influence somebody by force! For example in love magic, magic creates chance to meet again, to say “I want to try it once more”, to give the second chance. You are at present involved in certain situation. You don’t like it. You decide to use magic, so that it will help you to solve this problem. What can magic do? It can lift you from the current energy level (present situation) to the higher energy level (desired situation). What is your part of the work? To develop and learn new things and to dissolve barriers, so that you can stay on the higher level/desired situation (as we said before, if client doesn't work on him/herself, magic lifts him/her up again and again, but, because s/he is not vibrating with higher energy, s/he returns back where s/he came from).One needs to dissolve blocks and to cut connections with the present situation. These connections are your present behaviour, thinking patterns, habits, opinions, which create your current situation and hold you there… So, if someone is not able to admit, that something is wrong with his/her current way of life, or is not willing to develop further, we cannot help him/her! Nobody can help him/her. People who stubbornly stay the same and don't change, find themselves again and again in certain type of situations… One has to be brave enough to admit that something may be wrong and have courage to do things differently. This is the area, we guide and help people. So, this method is not for people, who don’t want to change something and expect, that things will come to them without any effort. This method is for people, who are able to accept the challenge and do their best. Then, we are on his/her side and we will fight for him/her, till s/he won't achieved, what s/he wants! I have already contacted other white mage, I have paid lots of money but still I can’t see any results. How can I find someone serious, a Magician, who performs real Magic? Why is your magic charged? Why is magic expensive? 4. The laws of resonance and attraction- many people has certain situation as a result of their behaviour. To change this situation, lots of energy is needed. Money is the energy, in which is accumulated your work and effort. To achieve harmony, one has to sacrifice something in order to receive back. Ask yourself a question:”How do I value my desire? How worthy is it for me?” Do you think, you can achieve something superior and perfect by paying 100 euro and waiting without effort on result???!! 5. To be a mage means unceasing daily work on oneself. We can compare our occupation to top sportsmen. Behind one victory, there is many yours of training and effort! We have to practice daily, we have to learn daily and improve ourselves. This is also included into price. 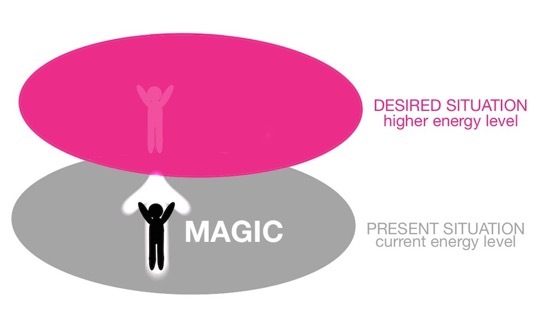 Without this training, we cannot practice successful magic!